The "Art Factories" programme is based on the transformation of disused spaces, converting them into new spaces to generate culture, creation and innovation. The Sònar is the International Festival of Advanced Music and Congress of Technology and Creativity, which takes place over three days in June in Barcelona. This next-generation facility is a meeting, experimentation and exhibition space for the design sector. This initiative promotes and generates proposals which place the Poblenou district in the city's avant -garde spotlight. The FADfest is the FAD's annual event celebrating creative excellence, recognising the work of professionals and companies and bringing design closer to the public. The 080 Barcelona Fashion show is a platform to raise the profile of fashion designers. The Barcelona VisualSound festival is a showcase event and platform for the promotion of young artists and creators in the audio-visual field. An audiovisual, media and animation cluster to boost the entrepreneurial network and advanced research in the sector. Barcelona, with a history stretching back over 2,000 years and a unique identity, is known as a city that exudes culture and creativity. Big names in the world of contemporary art, like Picasso, Gaudí, Miró and Tàpies, have gained the city an international reputation that has been carried forward by professionals in the fields of architecture, design, photography and many other creative disciplines, who have added their talent to the legacy of these universal artists. Barcelona and Catalonia are a centre of excellence in design, with a solid and financially sustainable model. 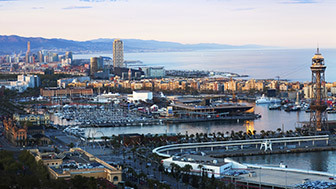 Brands like Desigual, Mango, Custo Barcelona and trade fairs such as 080 - Barcelona Fashion define Barcelona's fashion. 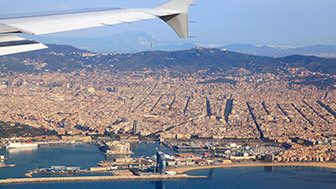 Barcelona is a trend-setter in the worlds of fashion, design, architecture and music. Barcelona has been and continues to be the setting for movie blockbusters as well as the cradle for some great film-makers. Barcelona lives cinema. Barcelona is a magnet for video games and online games companies, and strongly committed to this emerging sector. From the Sagrada Família to the Torre Agbar, the Pedrera to the MediaTIC Building, the most innovative architecture is found in Barcelona. Barcelona is a festival city. Music, cinema, documentaries and digital creation best represent Barcelona's creative and innovative vibrancy. The Loop festival is an international benchmark for getting to know the best video art around. Spearheaded by Ferran Adrià, gastronomic Barcelona is defined by the most creative cuisine. Experiencing the most creative culture live, in public places, is one of the fundamental features of Barcelona's cultural heritage. Is a new concept in cultural facilities, providing support for creativity, talent and innovation in the city. The new leading cultural centre in Barcelona that brings together three centuries of Catalonia's history. This museum brings together historical and contemporary collections from the decorative and graphic arts, ceramics, industrial design, textiles and clothing. This cluster brings together and promotes companies from the Catalan design sector. One of the best design and architecture schools in Europe. This cinema and audiovisual school is considered to be one of the best in the world and is the cradle of many great directors, including Bayona. The leading centre in design and architecture in Catalonia thanks to its constant promoting of creative culture. Dynamic and lively, Barcelona has always promoted art and innovation. Proof of this are places like Barcelona's creation factories, real factories for artistic creation, and centres like ESCAC, reputed to be one of the best cinema schools in the world. Fun art is another city asset: festivals like Loop, dedicated to video art, and Sonar, an internationally renowned showcase for advanced music and multimedia art, are the backbone of this audacious innovation. And Barcelona also occupies a privileged position in the realm of avant-garde architecture and design. The new Disseny Hub Barcelona building, the Torre Agbar, the new Encants market in Glòries, festivals like FADfest and organisations like the Escola Elisava are benchmarks in architecture and design in a city that is always open to change. 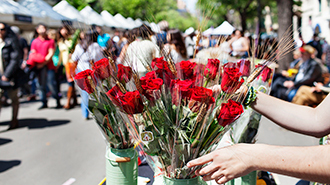 Fashion is another of the city's big assets. That's why leading international companies such as Custo Barcelona, Mango and Desigual are located here, as well as fashion shows like 080 Barcelona Fashion. Even cuisine, based around the Mediterranean diet, has experienced its own artistic revolution thanks to chefs of the highest standing, such as Ferran Adrià, a pillar of creative cookery renowned as being the best chef in the world in recent times. Barcelona has also become a breeding ground for talent and businesses in the video games and online games market. Growing numbers of international firms such as King, the creator of the immensely popular Candy Crush, see business opportunities and the possibility to grow in the city. What's more, the city is committed to quality university training in this emerging sector, which offers many job opportunities. It is, in short, a city that has managed to integrate its ancestral artistic heritage with new, more innovative forms of creative expression.